When you have made the difficult decision to seek a divorce or have been served with a Petition for Dissolution of Marriage, one of your first concerns will be how you will support yourself and your children. You may have questions about how you will meet child support obligations, especially if you remarry and have another family. If you choose the traditional path and take your child support issues to court a judge will issue an order for support which may or may not be in your best interest. If, however, you settle this issue through Mediation or the Collaborative Law process you will be able to take control of the outcome. Judith understands that the California child support guidelines can be confusing. She will take the time to explain the law and to help you identify your own needs and concerns. She will also help you determine whether your children have any special needs that require extra attention and whether the guidelines will adequately address those needs. You are not bound by the California child support guidelines if you and your ex-spouse jointly agree to fashion your own child support order. You can include provisions in your agreement that address what you will do if circumstances change and the order needs to be modified. Your agreement can also address how you will share financial responsibility for medical costs, childcare, extracurricular activities and education. 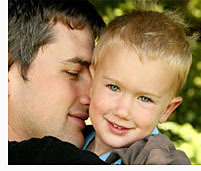 These items can be included either in an initial order or a modification of the child support order. At the Law and Mediation Offices of Judith C. Nesburn, located in Los Angeles, the focus is on alternative means of dispute resolution in all divorce and family law matters, including child support payment. Attorney Judith C. Nesburn has been practicing law since 1986, representing individuals throughout the Greater Los Angeles area in divorce and family law disputes. The combination of her legal expertise and her prior years of experience as a Licensed Clinical Social Worker uniquely qualifies Judith as an effective advocate and compassionate ally for her family law clients. Please contact Judith to discuss how you can use Mediation or a Collaborative Law approach to resolve your child support and family law matters.